Chicago’s Medical District, 13th St. & Damen Ave.
Easter Seals Metropolitan Chicago sought to expand its well-established school for children with autism from rented office space to a purpose-built facility specifically crafted to meet the needs of autistic children. 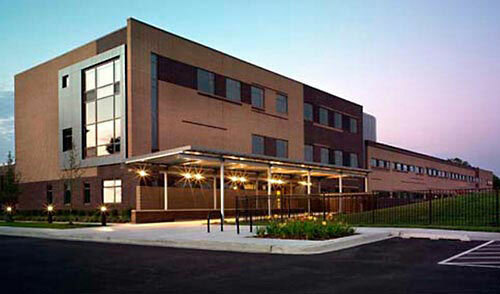 In 2008, Easter Seals opened this new 45,000 square foot school in the Illinois Medical District. The custom-designed center allows Easter Seals to expand its landmark autism services to meet the special needs of students with autism, emotional behavior disorders and severe learning disabilities. Interior features from special acoustic finishes and lighting fixtures to therapy and gross motor skills rooms help reduce distractions and promote more effective learning. The Laubacher Company, as a sub-consultant to the project development manager, evaluated the overall feasibility of a new construction project, then designed and executed a master financing plan. Laubacher completed a comprehensive industry evaluation of this special education school niche, including federal and state legislation that define the industry. The evaluation led to developing a demand model and advising Easter Seals board of directors on the attainable growth of student population. The Laubacher Company prepared the loan prospectus used to solicit several prospective lenders and then negotiated the terms for a bank loan approval. Laubacher also assembled a successful application for two state economic development grant funds totaling $5 million.